I am converting all pages to posts. 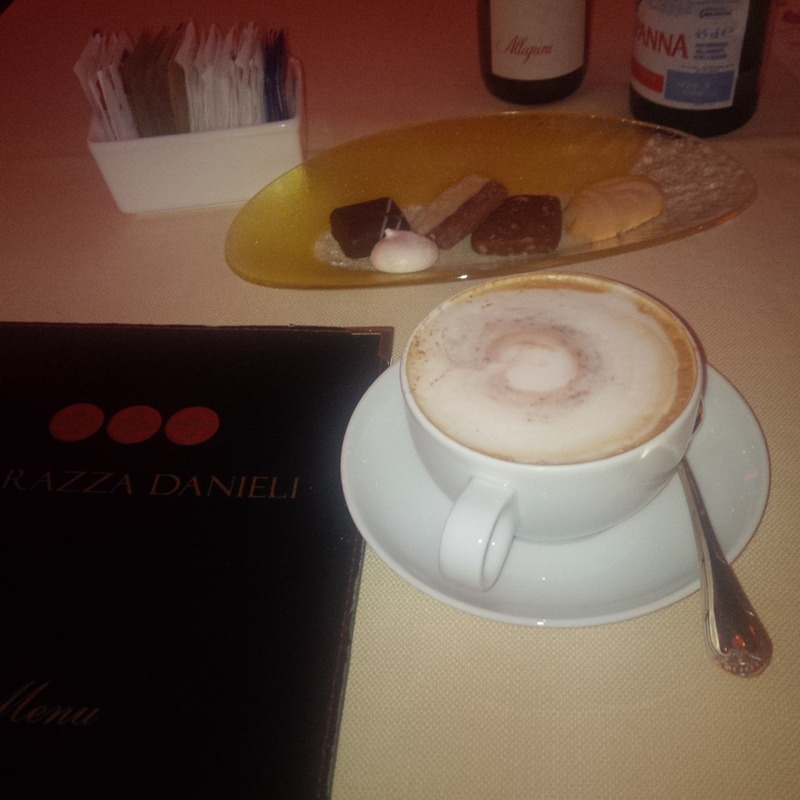 This is a page which has my review of my dinner at Terrazza Danieli in October 2013. Enjoy! 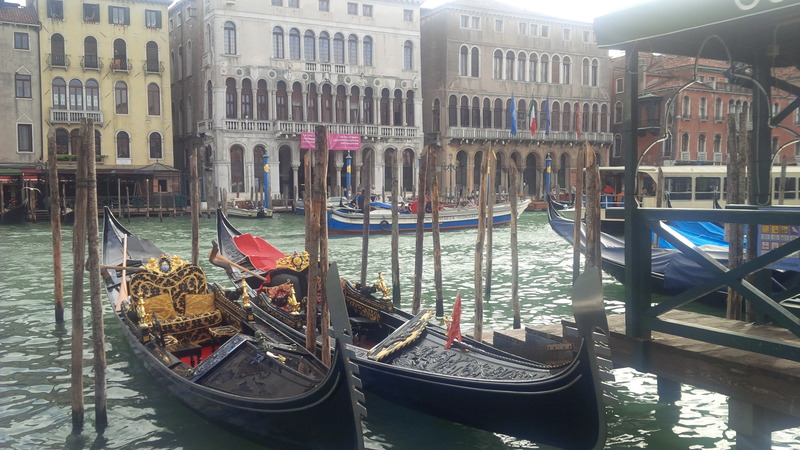 So the day is full of life, this is Venice; where beautiful stone paths cushion your heels, the soft sound of the lagoon splashing upon the canal walls provide music to your ears and the sound of boats and Gondolas moving the canals are a sight to see. 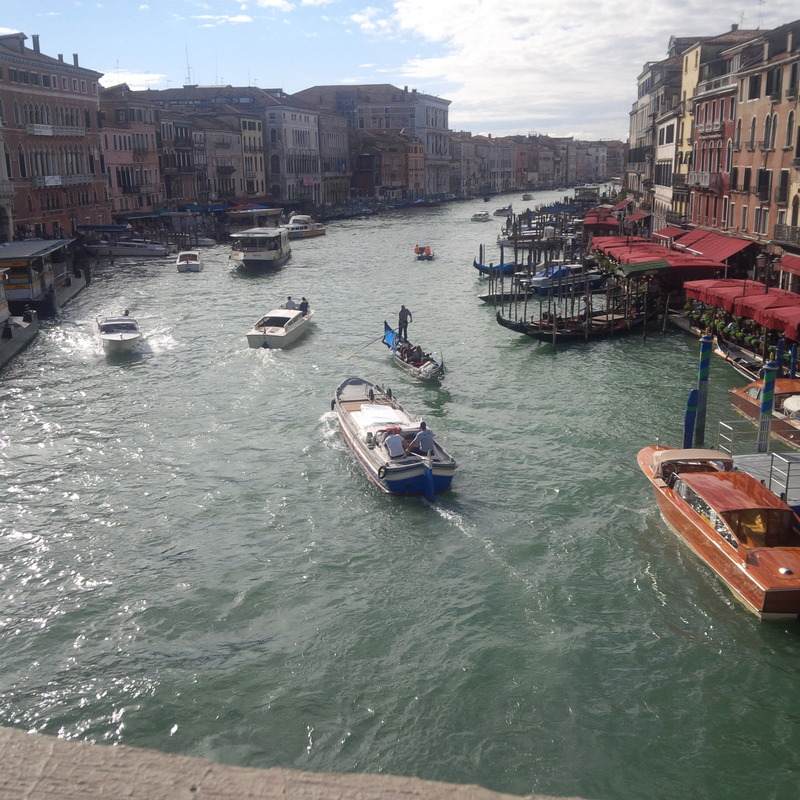 This is an amazing city. 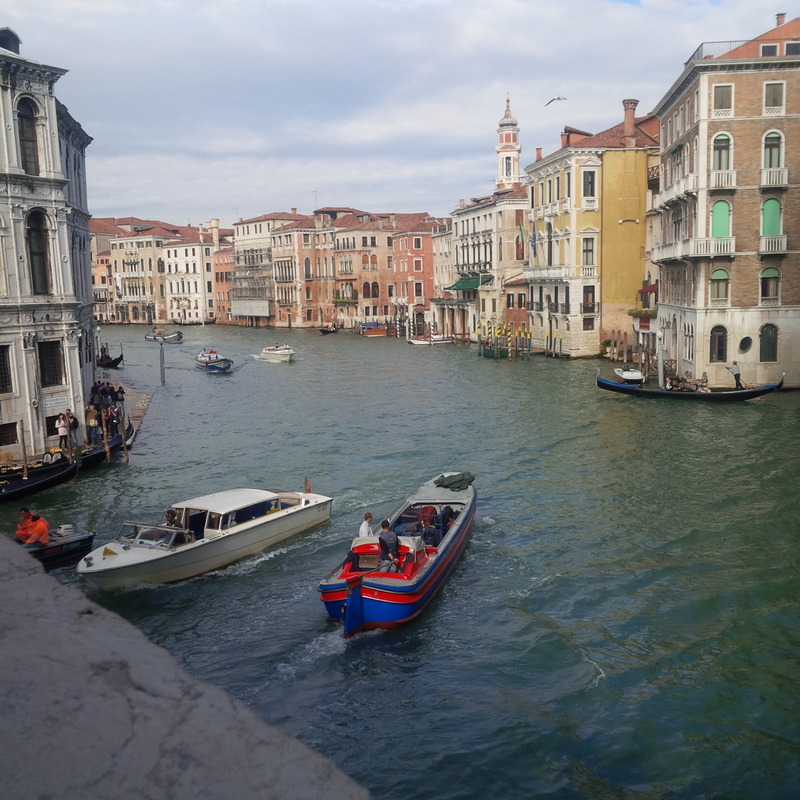 Old Venetian families leave their apartments to head to markets to buy fresh vegetables and fresh fish (straight from the Adriatic Sea), it is an ancient city, a beautiful city. 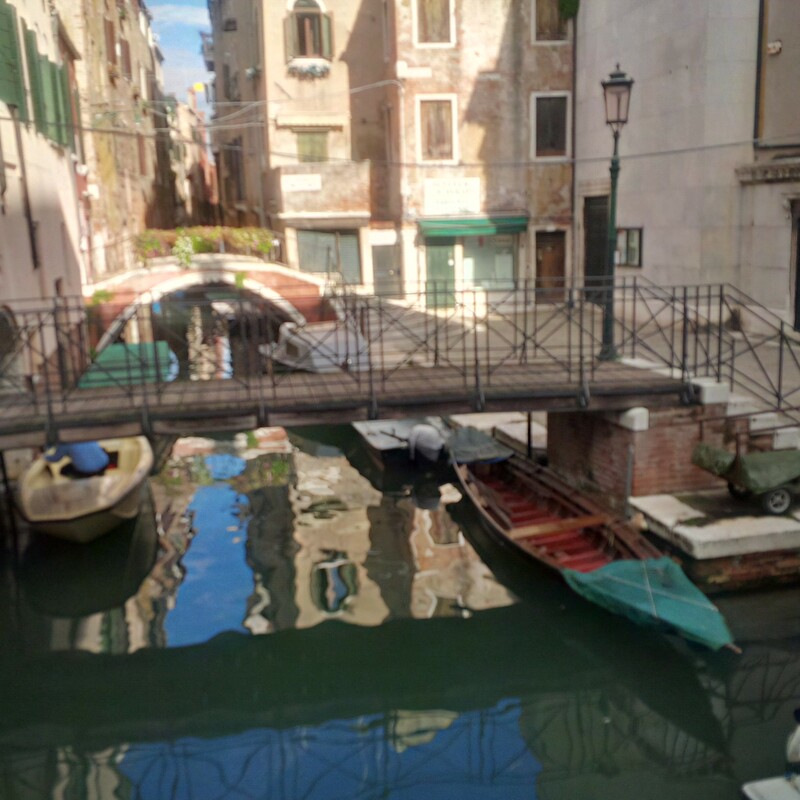 I venture over to the Hotel Danieli, a hotel with amazing history and an ancient past. This is the best of the best. 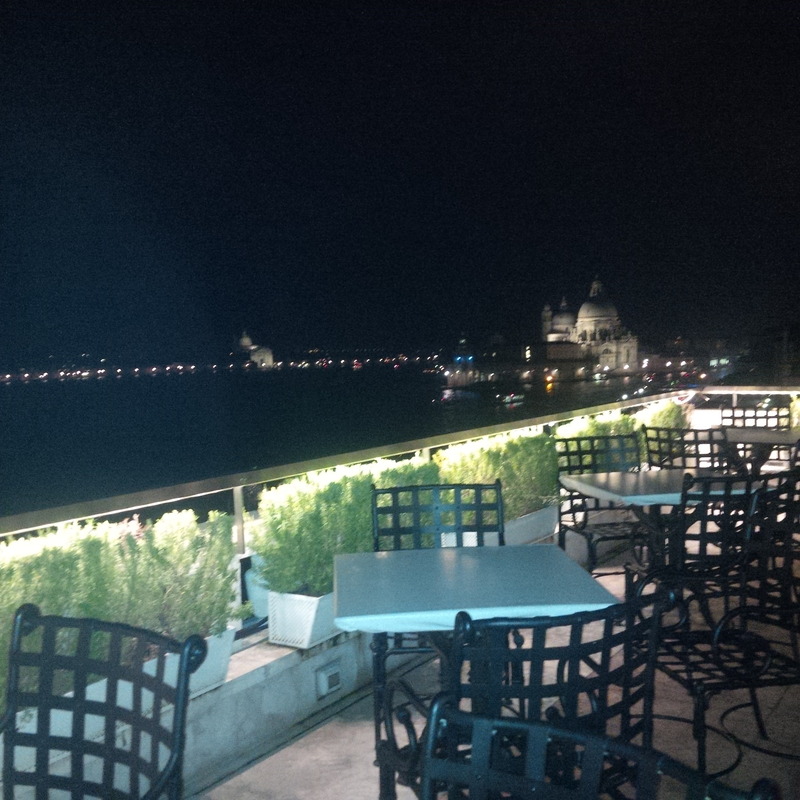 I head up to the Terrazza Danieli (the rooftop restaurant which overlooks the Grand Canal). 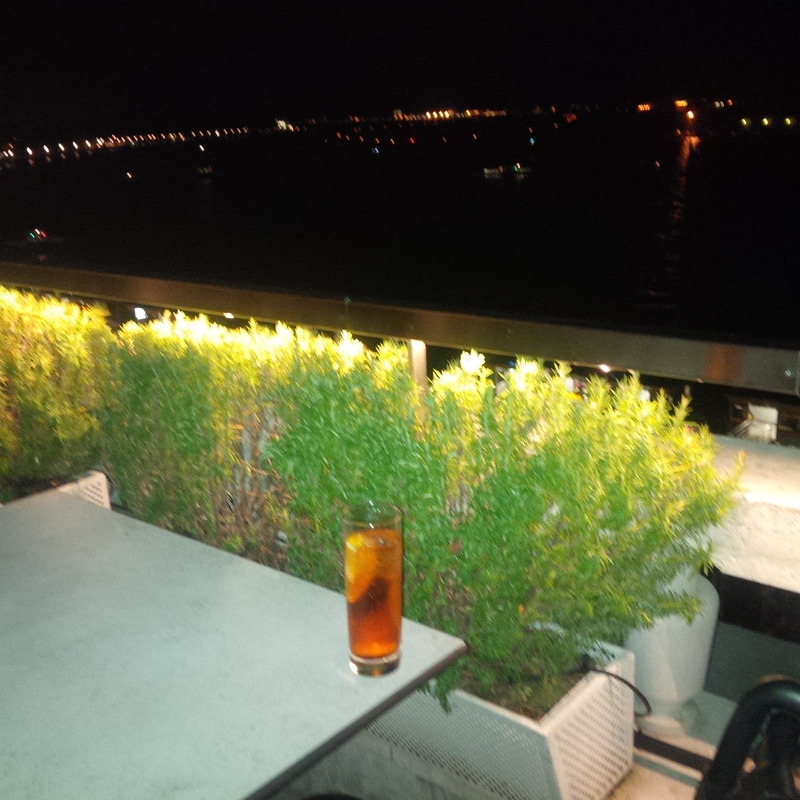 I ask for a spritz to start and head off to the balcony to take in the view and sip on my spritz. This is the most beautiful view in the entire world. 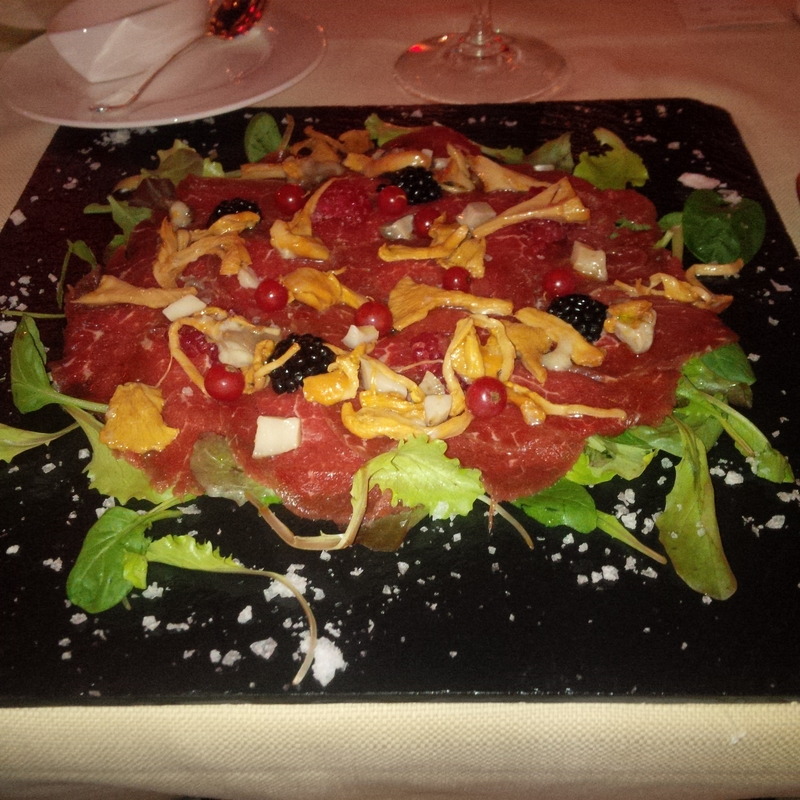 I then head back to my seat for the starter, the beef carpaccio marinated with Indian spices, wild berries and mushrooms which is lovely, but i think it lacks bit of liquid seasoning. Don’t get me wrong, the beef perfect, of course, but there needs to be some light dressing (olive oil and a tangy sauce) to bring out some of the flavours. This dish is good, but I thought a few tweaks could have made it better. 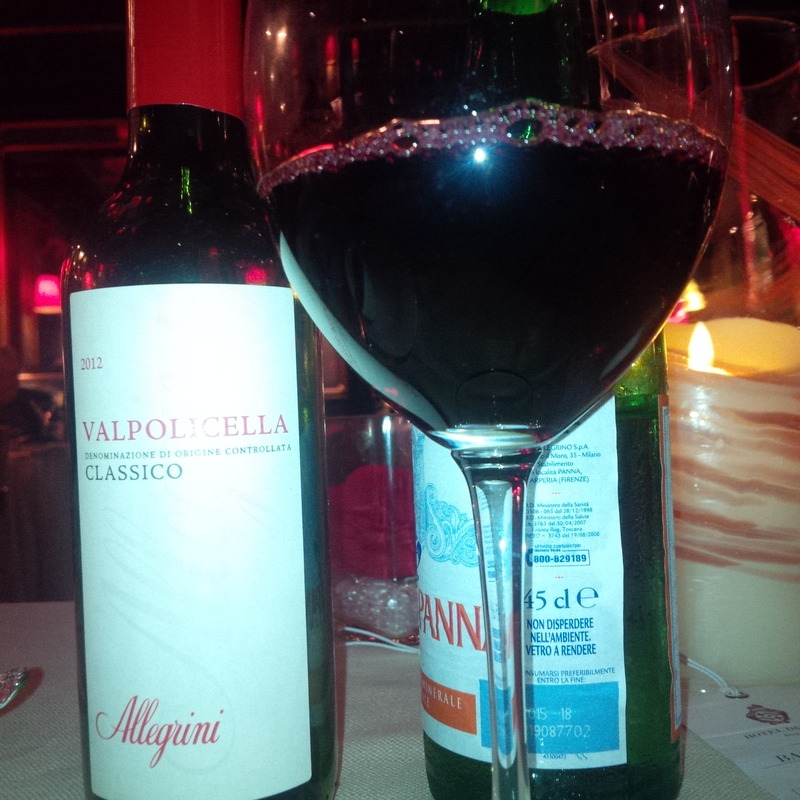 I have a half bottle of a lovely Valpolicella Classico Allegrini to pair with the beef. 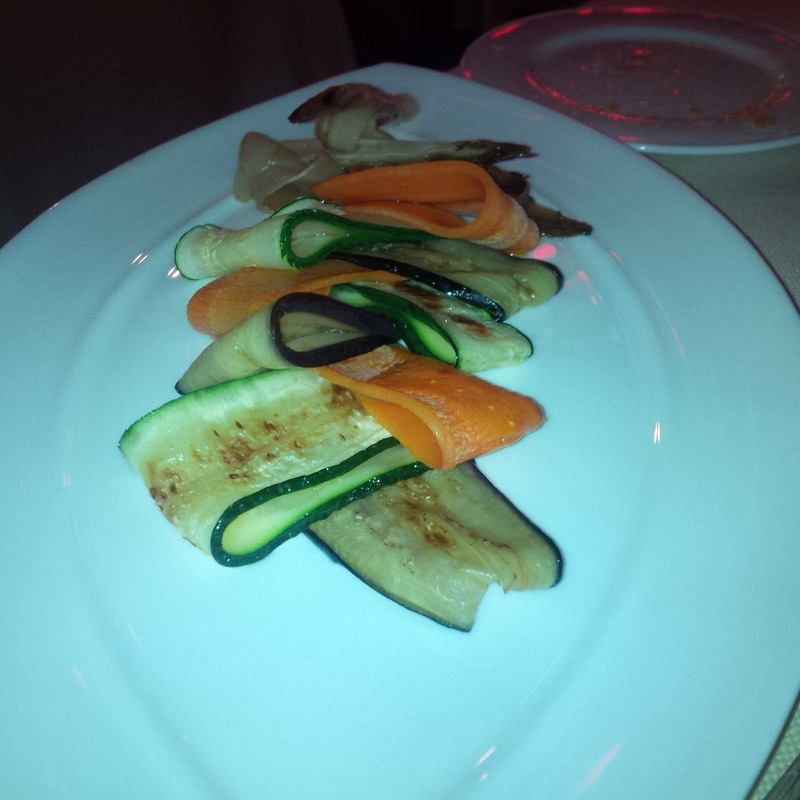 It is quite an amazing drop, which compensate for my small complaints on the dish. 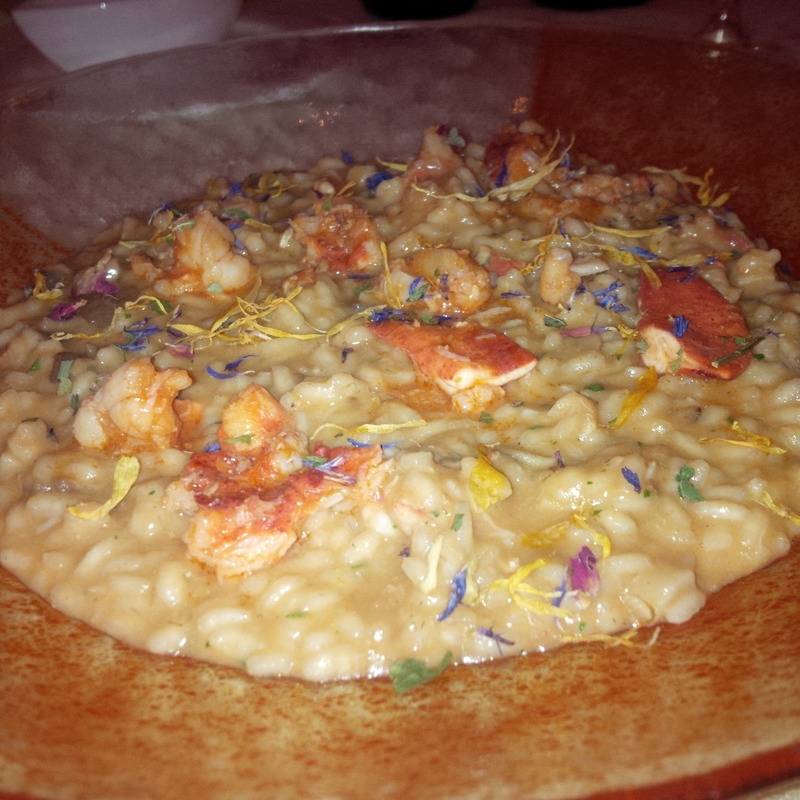 Then I have the lobster risotto with wild mushrooms and edible flowers. It is delicious, the lobster meat is succulent, fresh and absolutely divine. It is fresh from the Adriatic, full of flavour and done to perfection. A million poets writing for millions years couldn’t describe this dish, so I won’t even try. The taste of the wild mushrooms and the creamy risotto prove to be the perfect partners for the lobster. This dish ticks all the boxes, taste textures and scent. When you pair this with a glass of Pinot Grigio Santa Margherita and some fresh braised Italian vegetables, you just feel like you’re living the life of the Doge. The evening has been amazing, but the service lets this place down. 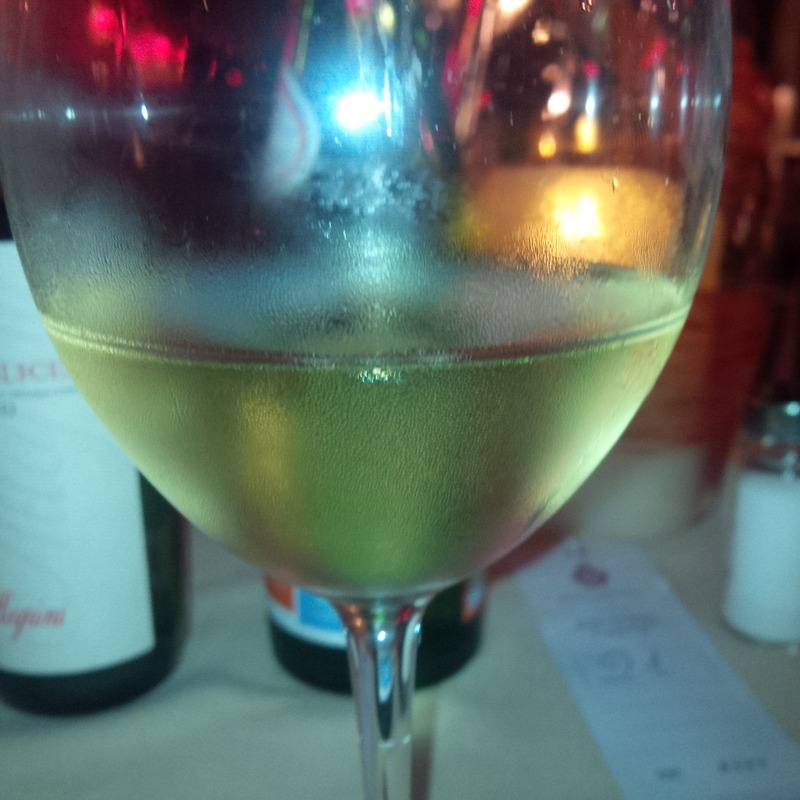 My wine glass is left empty for periods, I have finished my dish and don’t seem to have the quick service required. I try and use my sailor boy glance to get their attention, but alas it often doesn’t work. The hosts are old (very old school Venice) and the lighting is dark, so maybe they do not see the situation and I should be a little more generous… but this place isn’t Harry’s. I ask for a coffee and have some “finish the day” biscuits. 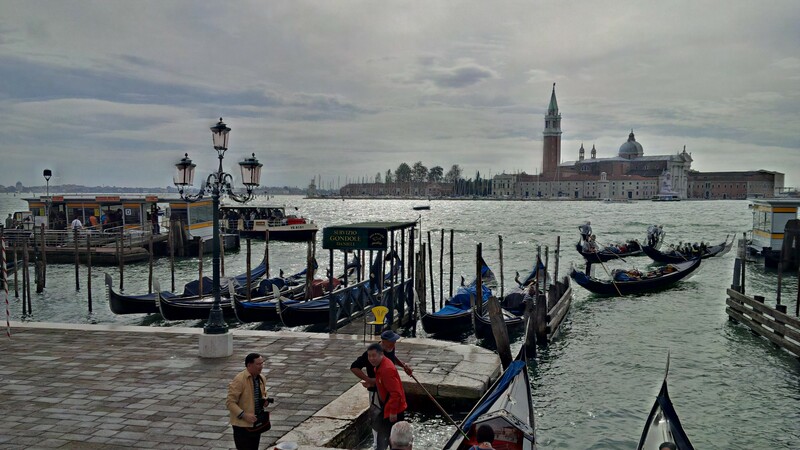 I glance around, this place has history, charm… it is beautiful, it has a view, I do love it but I feel it lacks that family feel of Harry’s. 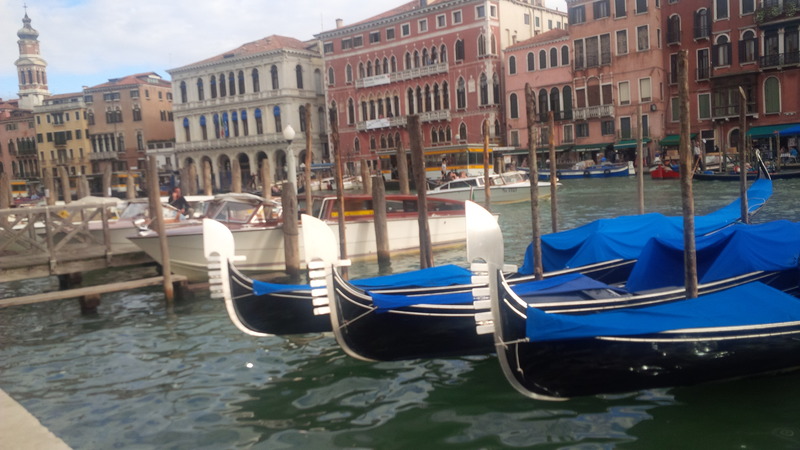 Maybe I’m getting old and that family touch is more important than views of canals, fresh lobster, decadence and all those other vain things I used to love. Only time will tell. 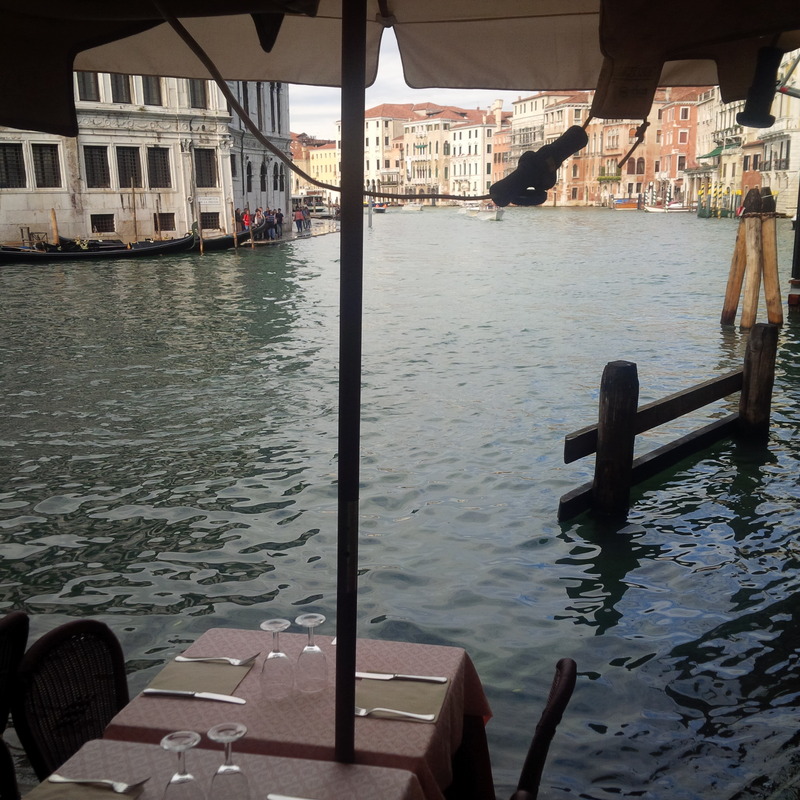 For now I try to be less reflective, I ask for my coat and make my way to the exit, it was an experience, a view, and a simply priceless meal.